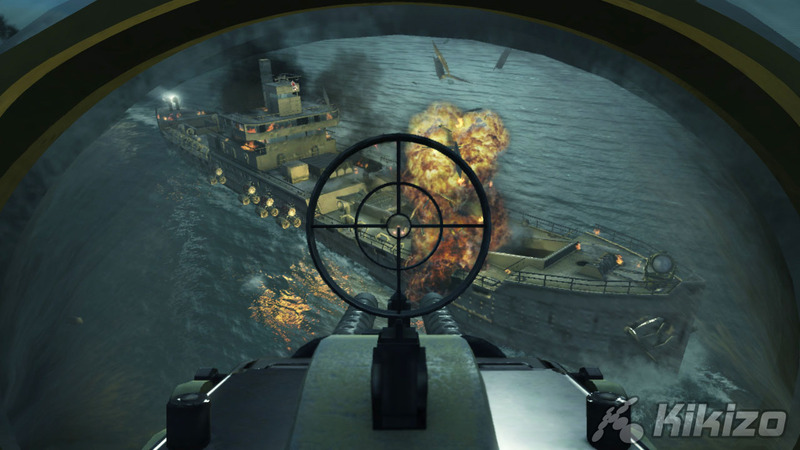 There's some nice building destruction that plays into your missions, and while the physics of stuff that's happening in this simulated world is understandably less than in pretty much any other shooter, in order to maintain the frame rate and thus support the awesome speed of the action, the overall illusion of real-world conflict and intense, detail-heavy carnage is unwavering. 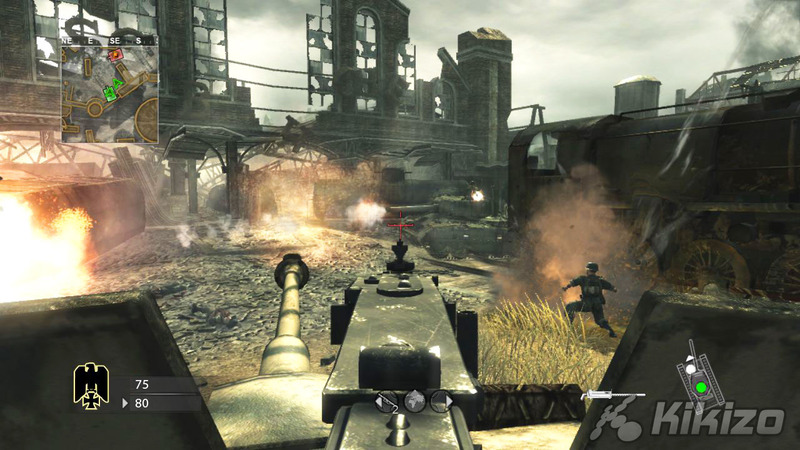 Taking into account the frame rate (which is the major factor in COD4's and COD5's slickness, whether you realise it or not, whether you're a developer than pretends it's no big deal about achieving 60fps or not), this is the best looking console FPS going, although on a high end PC of course, the playing field is a lot more even because all the FPS games run at high frame rates. 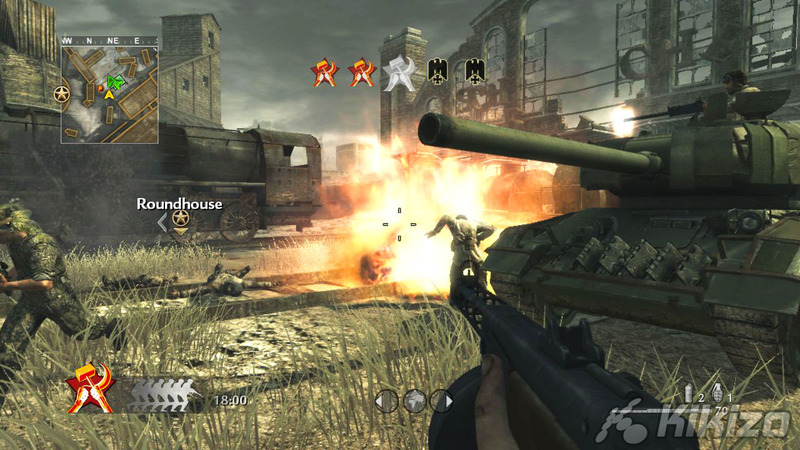 On the multiplayer side of things, World at War picks up where Modern Warfare left off, offering a whole bunch of brilliant new maps and cunningly skill-locked modes of play and class types, which adds some depth and further incentive to the considerably deep (in console terms) multiplayer experience. Although I've only been playing mostly cross-Atlantic matches, the lag is absolutely minimal, and the more local games I have played (with journalists, since it's not out locally yet) are basically flawless. To be honest, I don't know what else to add about multiplayer; I often still find it tough competing with the really highly skilled players online, and I don't mind losing to these experts, and I know that as the player base fills the matchmaking will work better. 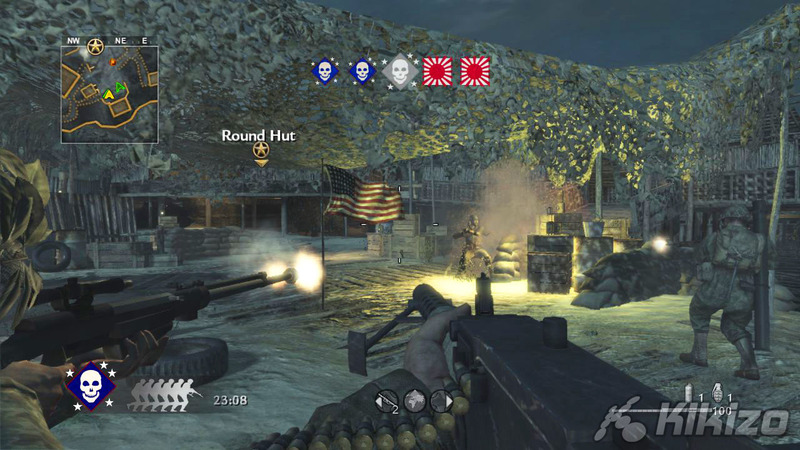 But the ability to fine tune matches and the exemplary overall design of COD4's multiplayer showcase is still in effect here, with new weapons, new sessions, and great new maps. It will last you a whole year until COD6 shows up, and if that doesn't represent great value when it comes to your online shooter needs, I don't know what does. It's harder than ever to make a decision about which FPS to buy, if you could only choose one or two. In my mind there is still no better singleplayer story mode experience to be had in a shooter that topples the Half-Life 2 series, it's that simple. World at War, while holding your interest by swapping between Europe and Japan, and while dazzling with pretty levels that masterfully give the illusion of scale and depth, are actually pretty samey (with the exception of a couple of areas) and ultimately rather flat when compared to the vast, dynamic levels of the Valve handbook, with structures as tall as they are broad. 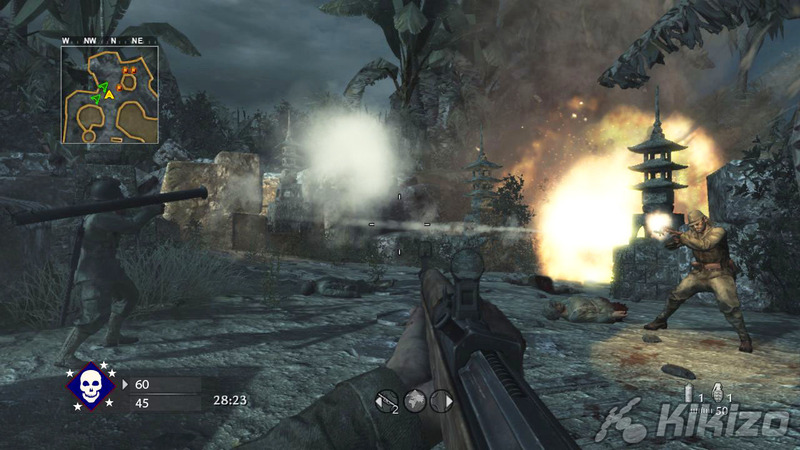 World at War also fails to offer the variety of gameplay seen in the various singleplayer story levels of Modern Warfare. 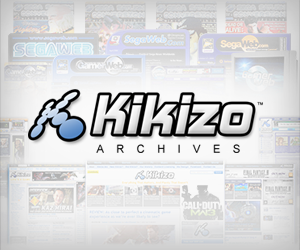 There's also competition coming from every angle, much of which offers deeper stories and more complex levels: Far Cry 2, Crysis Warhead, Resistance 2, Gears of War 2. There's a lot going on right now. 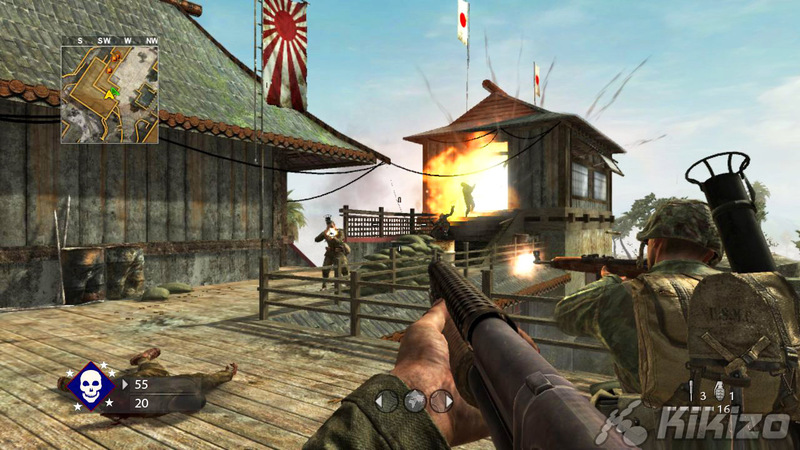 But it has to be said that as an overall package, World at War is so slick and so damn perfect on the controls and gameplay fronts, with so much value of more significance on the deep multiplayer and inventive co-op modes - not to mention the brilliant new extra - that it's difficult not to position World at War right near the top of the whole pack when you assess it as an overall purchase. And given that it's very comparable to Modern Warfare by most measures, it is inevitable that you, the gamers, will rightly agree with your wallets. THE VERDICT: It's nothing revolutionary, but you can't fail to enjoy World at War and it ticks every box rather convincingly. It's by no means the absolute best singleplayer, story-driven FPS out there (although that side of it is superb), but it does represent the cutting edge of console based FPS production as a whole, with all the value and play modes you actually want. You can't really say this is significantly better than Modern Warfare, but you should still buy it because it's at least as good.